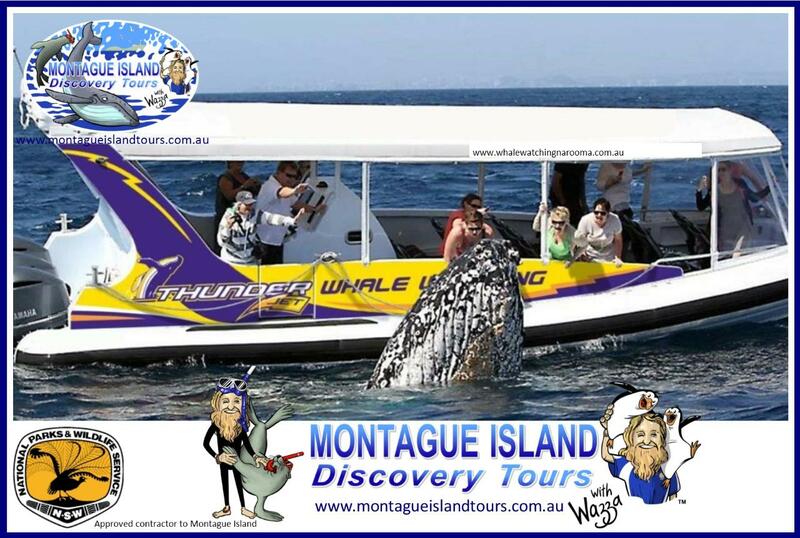 Enjoy a spectacular Coastal cruise before cruising to Montague Island for a Seal Eco cruise. Land on Montague Island for a NPWS Guided Discovery Tour including a tour of the Lighthouse, take in the spectacular views as the sun sets over Guluga Mountain. Settle down on the Observation deck and admire the Penguin Parade as the Little Penguins make their way back to their burrows after a days fishing at sea. Our Awesome Whale Watching vessel ECO 1 is the perfect Whale watching Vessel Big Fast Safe & Smooth! Sit back in your own highback comfortable seat and enjoy an exhilarating boat ride as we cruise the spectacular coastline in search of pods of playful migrating whales! Our Vessel Eco 1 can cruise at speeds of 50 klm per hour smoothly and whisper quiet getting you to the whales quickly in absolute comfort. Less time travelling more time with the Whales! * ECO 1 Adventure ride its Triple the fun!!! *Ultimate Penguin Whale Seal Experience! *Awesome quite efficient engines you can hear the Whales breathe!